It's Friday and what was supposed to be a long week for me due to my husband being out of town for work, turned out to be the opposite. Sure it was still a long week, but I didn't have to do it alone. Why you ask? Well since Avery got pretty sick Sunday night, Rory didn't want to go on his work trip while she was sick. She had a high fever, was very lethargic, cranky and had the nastiest cough. The girls always seem to get sick when Rory has a work trip and he didn't feel comfortable leaving her, even though he knows I can handle it. Plus it was a blessing in disguise as he had things that HAD to be done at work this week. So now his trip is rescheduled to sometime in June. Anyways, this week is done and I am so looking forward to the weekend. We have temperatures forecasted to be in the 80s and I can't wait to wear shorts and spend the weekend outdoors. ONE. I got an email this week saying Kendra Scott was having a sale on Rae and Rayne necklaces. I was intrigued even though I don't need a new necklace. But since I wear my magenta Rayne necklace ALL.THE.TIME I thought I would take a look just in case I wanted to get another color. Guess what? I did. 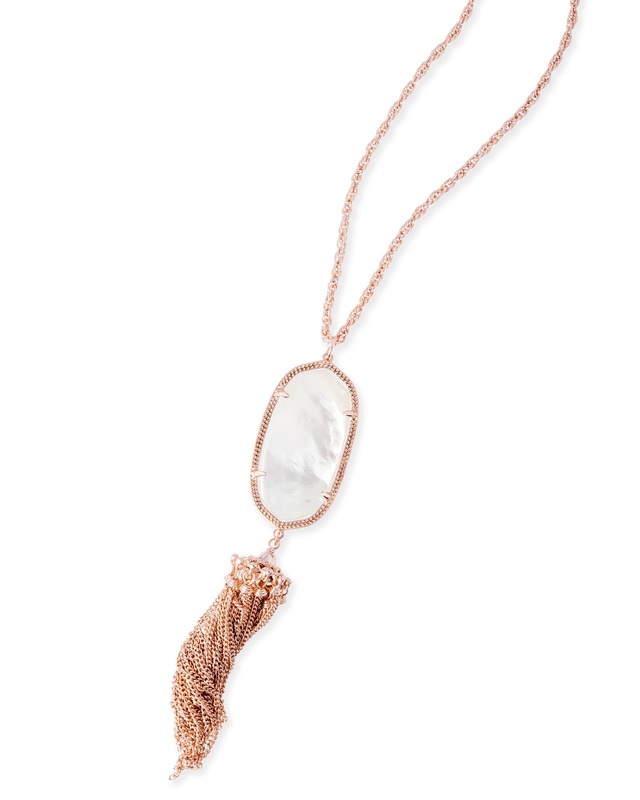 This time I got the rose gold necklace with mother of pearl stone. I can't wait until it arrives. And I got it for $15 off and free shipping, so I call that a win. A late Mother's Day gift to myself. TWO. This week while reading Caitlin's blog, Confessions of a Northern Belle, she did a post on simple mom outfits and she was wearing the cutest jean shorts. When I clicked the link to the shorts, they were from Old Navy. I also remember Jess (from The Newly) said she had Old Navy jean shorts too and now I really want these. But I NEVER know my pants/shorts size from Old Navy, so I am hoping they have these shorts in store this weekend. Has anyone else tried these? THREE. A few people have asked me for an update on the girls daycare situation and we have it figured out. I don't know what I would do without family because they really stepped up for us in our time of need. But let me back up a bit. We had been looking for a new daycare for the girls since about January. Since the girls moved from the baby room to the toddler room, we knew that we couldn't really go visit them daily anymore and the need for us to be as close to them wasn't as high. So I searched online, went on yelp, looked at the county site for complaints about each daycare and probably did way too much searching. But I want a good place for my girls. We did a few walk throughs in February and ultimately decided on a place that is very focused on a learning curriculum. We put our deposit down and were told that we would be put on the wait list and if spots didn't open up by August 4th, then they could start August 7th with the school year in our county. So we knew they would be moving in August, but didn't think it would come so soon. When we got noticed that the girls' daycare was closing, I called the daycare they were moving to, to see if they had two openings yet. Nope. No one leaves this daycare. Ha. So we panicked thinking we would have to put them in a daycare temporarily or a completely new one and cancel the other one. But then we asked my mother-in-law if she wanted to watch the girls for two months since she was already thinking of watching them one day a week going forward. She was happy to watch them, but did have some days where she would be out of town. So then we got those dates and asked my dad if he could watch them when my MIL couldn't. He is soooo looking forward to watching them. I am sure he isn't looking forward to diapers, but we hope to have them out of them during the day by mid-June. So that is why I am forever grateful for my family and how they have stepped up!!! The girls will be in amazing hands. FOUR. So after my make up post last week, I decided that since I don't like any mascara enough and feel like my eyes don't pop, I needed to do something about it. Sure, I got a ton of mascara recommendations, but I don't have all the money in the world to test them out. I decided to get eyelash extensions again. I loved them for my wedding and again around the time the girls were born, but then life got in the way of my fills. Plus my lash girl had a baby and that limited her work for about two months. Well Wednesday, I went in and got my extensions put back on. Now I know they aren't for everyone, but I LOVE them. I don't have to wear make up and my eyes still pop. They are perfect for summer and vacation days where I only want to wear a little tinted sunscreen on my face and some lip gloss. FIVE. I will be going out of town the first week of June, well most of it. And when I am around, I will be crazy busy at work (the one day I am here), so I wanted to put feelers out there for any guest posters. Interested? Comment below or email me! SIX. We are going camping for Memorial Day and we were searching for new sleeping bags. 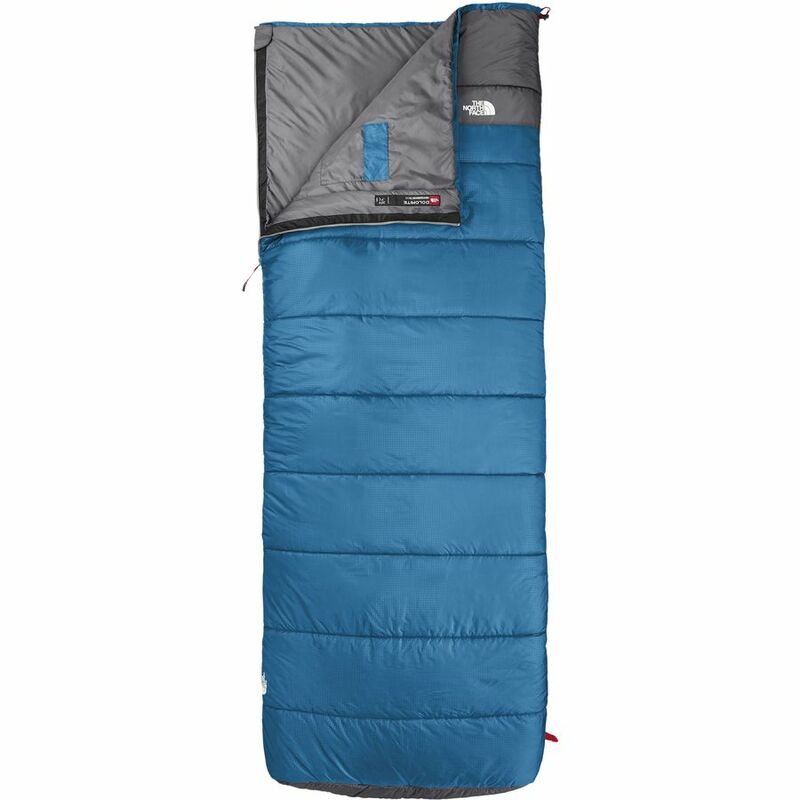 Do you realize how expensive sleeping bags are? We like the "old school" style of the rectangular ones, but they are either dirt cheap and not very warm or they are crazy priced and come with a bunch of gadgets. And by gadgets I mean, inserts, blankets, extra pads, built in pillows, etc. Maybe if we were serious campers, I would go for it, but we only tent camp a couple times a year otherwise we are in cabins. But we did bite the bullet and we got these ones. Anyone have experience with them? They get good reviews and are the middle ground in sleeping bags. I love that necklace! I have two of them and they are my fav. I've wanted to try jean shorts but can't find any I like. I may have to order those old navy ones! I'd be happy to guest post while you're gone! Hope you have a fab weekend with No sickness!!! I want those jean shorts! I'm with you though, I never really know my pants size there and always need to try, or I buy a couple sizes online and return the ones that don't fit. I'm SO glad the daycare situation is all worked out. Have a great weekend, your weather sounds 10x's better than ours! I have an obsession with lashes and always talk about getting extensions! I'm glad you cashed in on the KS sale - I love her things and splurge when I am able to. If you need a guest poster while you're on vacation, I'd be interested in helping you out. That's exactly what I SHOULD have done when we were gone last week. Aren't grandparents just the best! I don't know what we would do without them for our kiddos! I love ON shorts-I think they run pretty true to size, if not on the roomier end. I'm going to camp for a week with my middle school kids (EEEK) & I need a sleeping bag so I feel your pain on the price. YIKES!!! I want eye lash extensions - they scare me though - I know so many people who have had bad experiences with their own lashes afterwards. They look so good though. So glad you have family close to help you with the day care issues. I can imagine the stresses that all holds. I just love ON - they have the cutest stuff. I am on the hunt for that 'perfect length' short. Me too!! That is soooo crazy about designing my template. I need a new update. Do you still design templates? Oh you should definitely look into it. I love mine so much. I don't like short shorts either, so I am hoping these work out well for me too! I can't wait to go try them on this weekend. Have a great weekend! Ahhhh I love extensions and the time saving they give! That's so great that you will have help for your girls, child care can be SO difficult! OMG the eyelash extensions are amazing! have a great weekend! I am loving that necklace, it's so simple but beautiful! Thank you. I love the simplicity of it as well! Your eyelashes look AMAZING, girl! AMAZING. I would love to guest post for you, but I can't even get enough posts written to cover my own blog when we're gone the first week of June. I'm struggling over here! 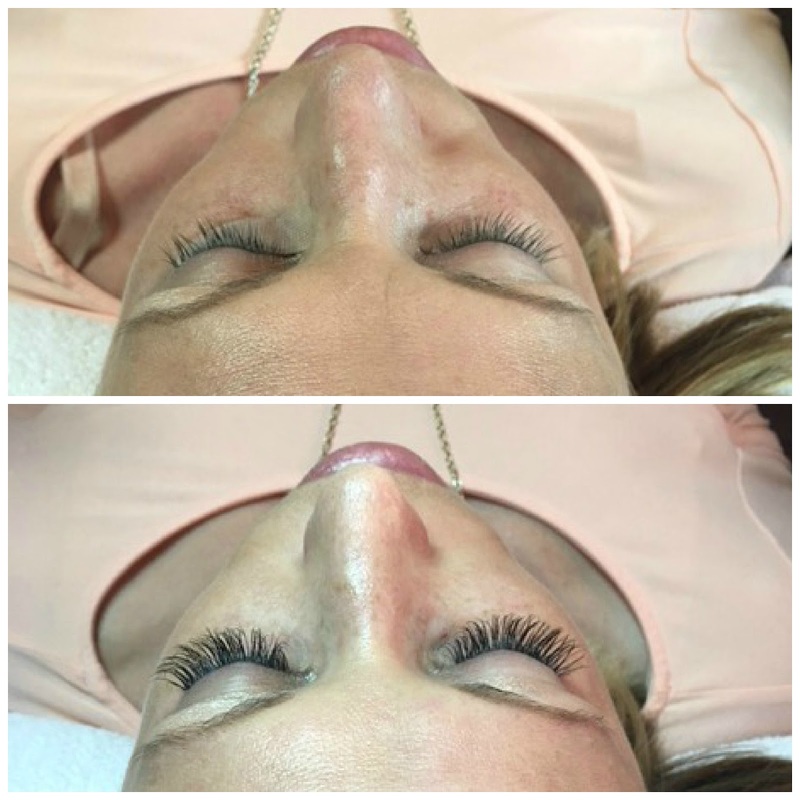 Eyelash extensions...interesting how does that work? That necklace is beautiful!! Love it!!! Great choice. Yay for family stepping in to help! I'm so glad. Such a pretty necklace, and that color will go with everything! I'm glad you got your daycare situation figured out, thank goodness for family! I feel really lucky that I have family nearby who can help with my kids when we need them to! That is what I was thinking when I picked it out. I am so glad we have an amazing family to help us out. That is definitely something that I am forever grateful for! Nice necklace! I wear Old Navy shorts. I just got a few more pairs since the ones I'd been wearing are too big on me now! Glad to hear you worked out your day care problems! Sleeping bags are seriously go expensive!!! But also so important so that everyone enjoys camping. We just bought our youngest his own since he's getttinf booted out of mine and holy moly price tag. We love the REI brand ones, but we go the mummy sack route, not the old school rectangular ones.